Amazon, the company behind the most successful e-book reading device in the market has decided to spread its wings once again. The retail giant has been making many technological endeavors recently. First, they came up with Kindle, which was wildly successful. Then came Kindle Fire, which was a direct competitor to the Nexus line of tablets. If competing with Google wasn't enough one time, Amazon came up with Kindle Fire TV. Now, if the rumors are true, Amazon is coming up with a new smartphone. Will it succeed? We don't know. But we do have some expectations from the retail megastore. The real problem with many smartphones at this moment is that they come with too many extra features. From the forever-bloated Galaxy S5 to the wide range of devices that come with heavily customized Android, finding a phone that matches up to Nexus or Motorola in the features department is quite a problem. We hope that Amazon keeps the customization to a bare minimum and the utility to a complete maximum. While finding a 5-inch phone is not a big deal these days, using too large a device can be a bit frustrating for people with smaller hands. 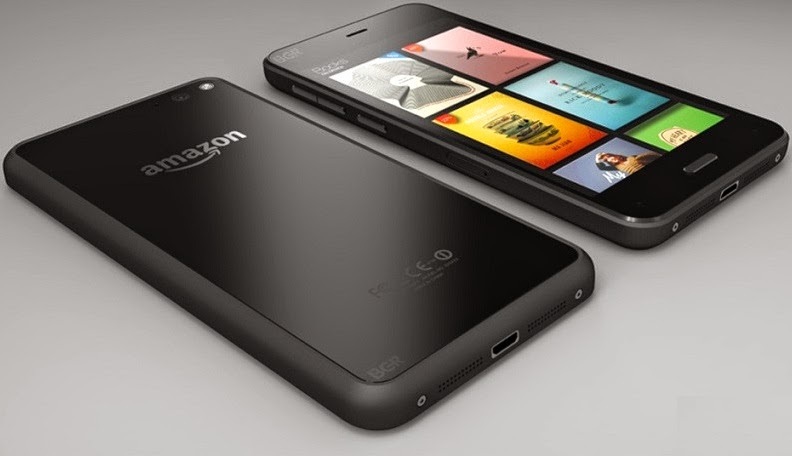 We hope Amazon strikes a fine balance between size and usability while making their own phone. The PPI race is still on. Each phone is trying to come up with a display that screams clarity. Let's hope Amazon phone's display matches up to the amazing high PPI devices that are currently offered in the market. A display in which text and video are rendered perfectly is something Amazon should be aiming at. 4. If Not Pure Android, It Better Be Good. Customized Android interfaces are rarely as good as vanilla ones. While it is highly unlikely that Amazon phones will ship with pure Android, Amazon is a company that deeply cares about the user experience. That's why, if they do come up with a customized Android, it better be as good as what we see with Sony or HTC. Low-priced models have taken off with the release of Moto E. Besides, Amazon is always known for its low-priced hardware. So, we expect the retail giant to follow the same trend and keep things affordable. Many new high-end phones come with cheap plastic bodies that don't seem to live up to the high standards iPhone and the HTC One have set. We hope Amazon doesn't make that mistake and don’t come up with some cheap-looking phone. Modern buyers demand a quality phone that has that premium look and feel. Amazon needs to keep that in mind when it comes up with its phone. When the Nexus 5 came out, it was branded as the best camera phone out there. However, when users tried it out, the results weren't as exciting as Google claimed they would be. Google and many other manufacturers have struggled over the years to come up with a phone camera that is just perfect. It's not about the Megapixels anymore; it's more about what the software and hardware do with the high specs. One example of a good phone camera is the iPhone, which is capable of taking brilliant pictures in low light as well as cloudy weather. If you are looking for someone to copy, Amazon, it better be Apple. Finally, Amazon has to sneak in some feature or some gimmick that pulls traditional Android users towards its own ecosystem. This might not be that hard for Amazon since it has a solid ecosystem of its own which is luring enough as it is. The Amazon App Store for example, features a free Android app every day. Moreover, the company announces many bonuses wherein they give away popular apps for free. This free app a day if built-in to an Android device, would mean a lot for customers. But free apps aside, Amazon do need to have something extra that makes even a die-hard Android fanboy jump ship.